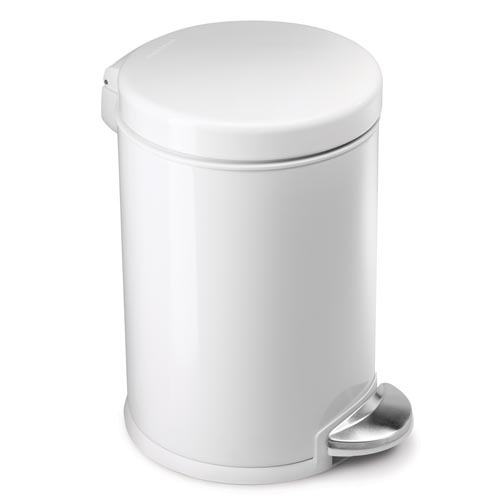 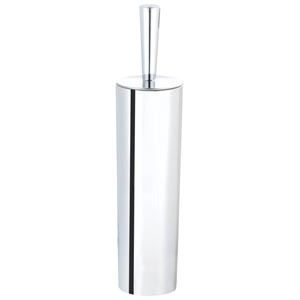 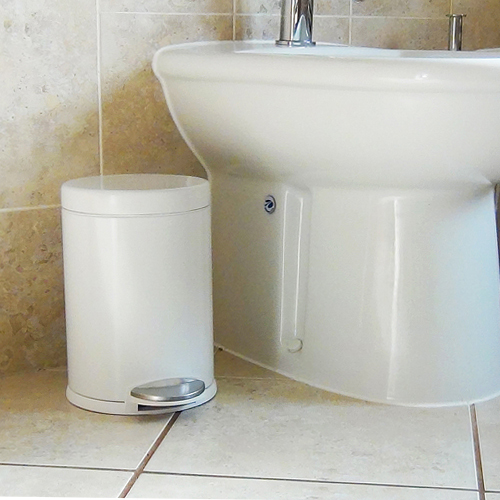 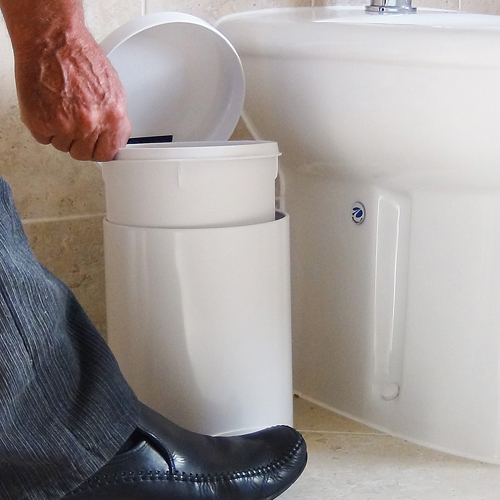 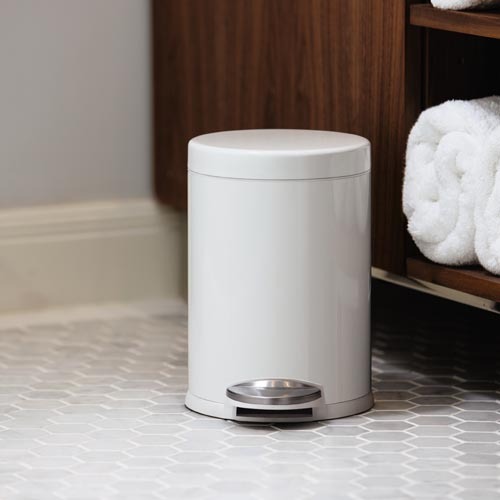 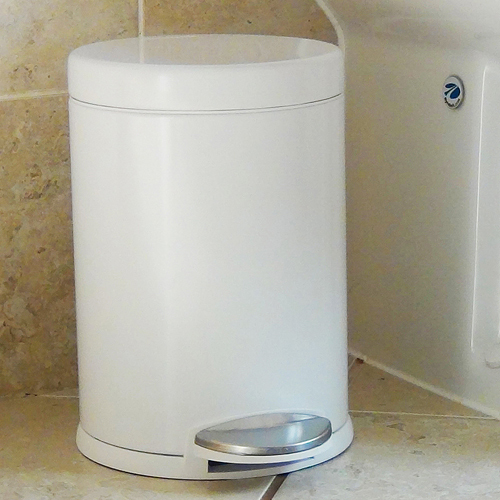 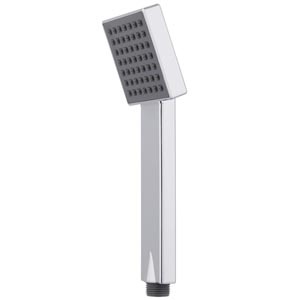 This is simplehuman's "Classic" compact round pedal bin and it's absolutely ideal for small spaces. The pedal that opens the bin is strong and durable and when the lid opens there is a black removable inner for easy rubbish disposal. 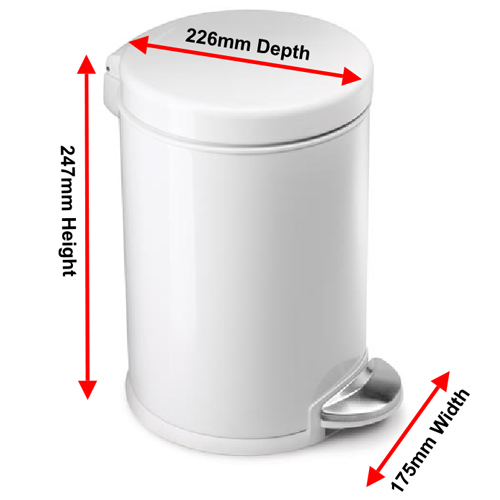 The base of the pedal bin is also non skid, so it will stay where it's put and no sliding around. 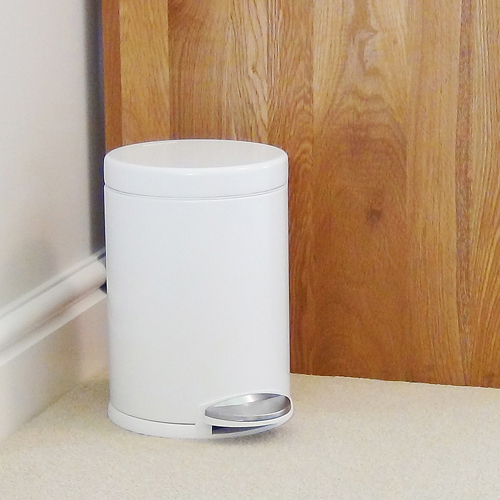 When opening the bin, there is also a facility to hold the bin open when needed, which is very useful.